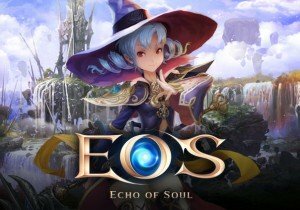 Echo of Soul has added a host of new content with its new Wrath of the Goddess expansion. The update includes a level cap raise, new dungeons, a new continent, and more. Players will find they can now reach level 70 with their characters, along with access to a variety of new skills and new ultimate skills. Players who reach level 70 will find plenty of new challenges. Burning Plain and Vaulted Plain offer two new large-scale hunting grounds with a completely new set of rewards. Two new solo dungeons, Aedis Infernum and Clone Lab, and three party dungeons, Fellglow Spire, Asha’s Tomb, and Shadowflame Mine, offer rich rewards for those capable of completing them. There are also some important changes made to Infinite Dungeon size, bosses, and rewards. The new continent Kharath is jam-packed with content, including two large cities (Bernicia and Redvale) and almost 400 new quests, plus a special Guild Hunt. PvPers will also discover some new changes, including Team Arena now being 3v3 (previously 5v5), Battlefield Daily Quests, Guild Dominion, and new equipment. Another major change for players is that outfit stat points and appearance have been split, allowing players to change the appearance of their equipped item while receiving the same stats. Costumes will be registered whenever players obtain them, and remain permanently accessible for the character. Mounts, too, will also be bound to a character instead of being stored in the inventory. Players can also discover new items, including an 18-slot bag, Vivid Jewl Casing, a Remote Merchant, and Magic Lamp Season 10. There are many more massive changes in this expansion, so make sure to read the full patch notes.